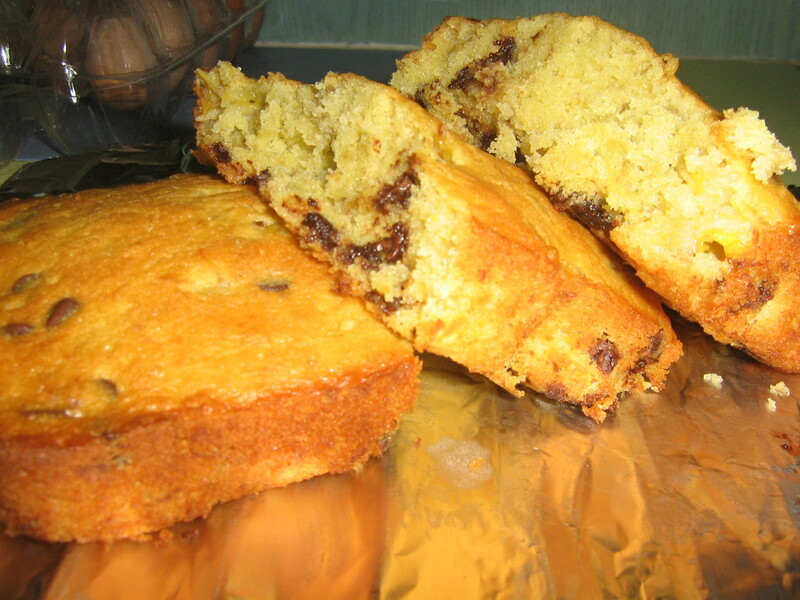 M3rNi3: Banana Cake for Dimple.. I met my best fwen, Dimple, last Tuesday at a work event. The day before, we decided that we bring something (food that is) to swap. I baked her Mini Banana Cakes and in return she gave me Snow Skin Moon Cake that she made. I didnt have the chance to take pictures of the moon cakes coz I just went straight to indulge in those ohhh sooo yummy moon cakes .. slurp .. 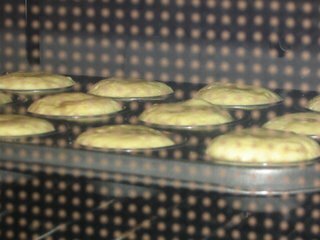 This time round, I decided that I bake them bite size, i.e. 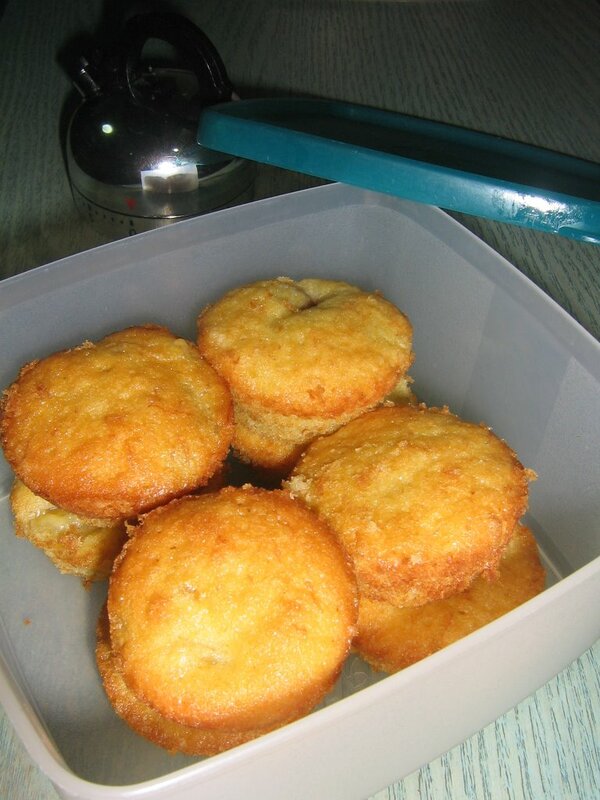 bake them in mini muffin tins. 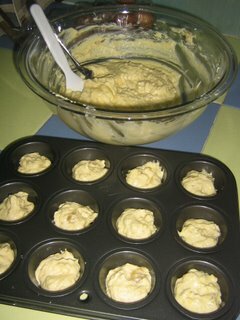 This is it, mini banana cakes, in the oven, baking away .. This is it, all packed in a mini tupperware ..
Oh ya .. after baking a couple of batches of the mini ones, I decided to throw in some choc chips and baked them in a small loaf tin since there was only some batter left ..
Quickly mash the bananas, then fold it in the mixture. Finally, fold in the rest of the flour. And comments from Dimple was that the one that was baked in the loaf tin was way much better that the mini ones .. Frankly speaking, I also preferred the one baked in a loaf tin .. hahaha .. and did I say choc and banana complements each other real well ..